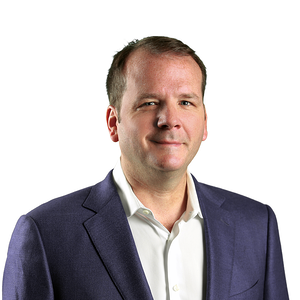 Bond Brand Loyalty President and CEO Bob Macdonald builds on his commitment to the industry in joining the Board of Advisors for Loyalty360 – The Loyalty Marketer's Association. Bond Brand Loyalty, North America's leading brand loyalty agency, is a proud member of the association and a sponsor of Loyalty360's Engagement & Experience Expo, which takes place Nov. 9 – 11 in Dallas. Bond recently announced a management buyout from parent company Maritz Holdings Inc., as part of an ongoing North American growth strategy; Macdonald's position on Loyalty 360's board further highlights the company's commitment to the industry, to best-in-class solutions and to helping build stronger relationships between brands and their customers. "As an agency dedicated to brand loyalty, we are striving to move the whole industry forward, and what better way to do so than by coming to the table with other loyalty leaders?" Macdonald said. "I'm honored by the opportunity and excited about what we can achieve together." Macdonald added, "We are witnessing a major shift in how consumers engage with brands and how brands are developing strategies that put consumer loyalty at the center of all marketing decisions. In a new era defined by experiences and mass personalization, we at Bond are delivering progressive programs, solutions and technology that help our clients succeed." Loyalty has come a long way from relying solely on the mechanics of points and reward programs; loyalty and customer experience (CX) continue to converge to meet the needs of demanding and empowered consumers. Meeting the needs of marketers, meanwhile, increasingly requires visionary focus, fresh strategy and collaboration between key partners. In his role at Bond, Macdonald leads a 400-person team who focus on building loyalty across the entire customer experience continuum. Bond proudly works with some ofNorth America's most beloved and recognized brands across a variety of sectors including automotive, financial services, retail and consumer goods. "Our market continues to rapidly change," said Mark Johnson, Loyalty360 CEO. "More than ever, loyalty is playing a critical role in overall business strategy. It's time for a broader approach, and each member of our board brings skill, experience and passion to the task." The professional association for loyalty marketers, Loyalty360 is committed to helping its members simplify the journey to customer loyalty. Members receive access to exclusive, market-driven and unbiased coverage of all facets of customer loyalty, including CRM, customer experience, loyalty programs, brand loyalty and customer engagement. Its members-only, peer-to-peer community enables members to connect with each other, network and share advice, news and insights. Bond Brand Loyalty, formerly Maritz Canada and Maritz Loyalty Marketing, is a leader in building brand loyalty for the world’s most influential and valuable brands. We make the world more rewarding for customers, richer and more resilient for brands and extremely profitable for our clients. We build measurable, authentic and long-lasting relationships through a combination of services that includes loyalty solutions, customer experience, marketing research, customer analytics, live brand experiences and proprietary loyalty technology platforms. Visit our website, follow us on Twitter or contact us at 1-844-277-2663.